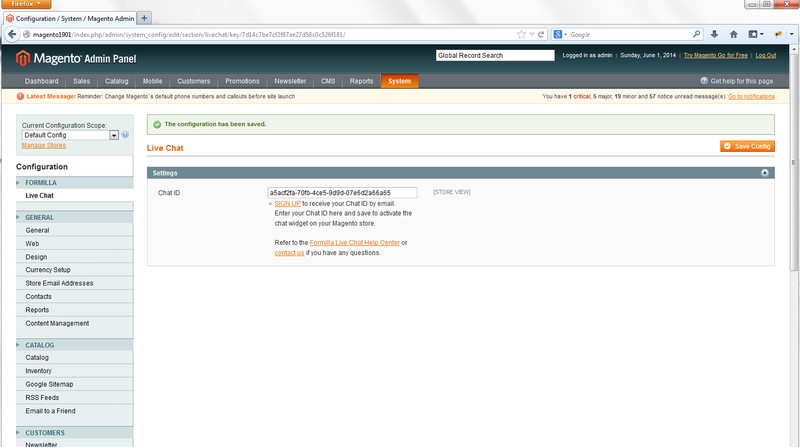 Note: Our extension for Magento is currently not available in the marketplace. 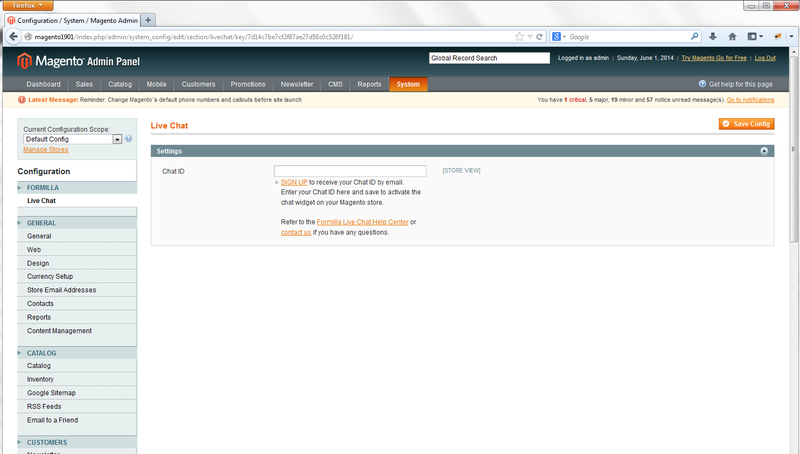 Please install the live chat script manually to your Magento store. This post is being kept as a reference for existing customers that have installed the extension in the past. 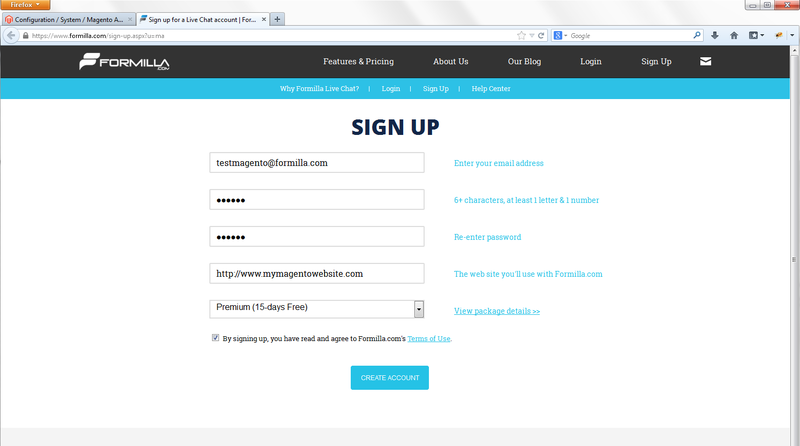 This installation guide will help you install the Formilla.com Live Chat Software extension on your Magento ecommerce website almost instantly. Don’t overpay for other live chat software when you can pay a fraction of what others charge and still expect the same excellent service. Begin enjoying the benefits of live chat on your ecommerce website to improve sales, reduce abandoned carts, and improve customer service. That’s it! 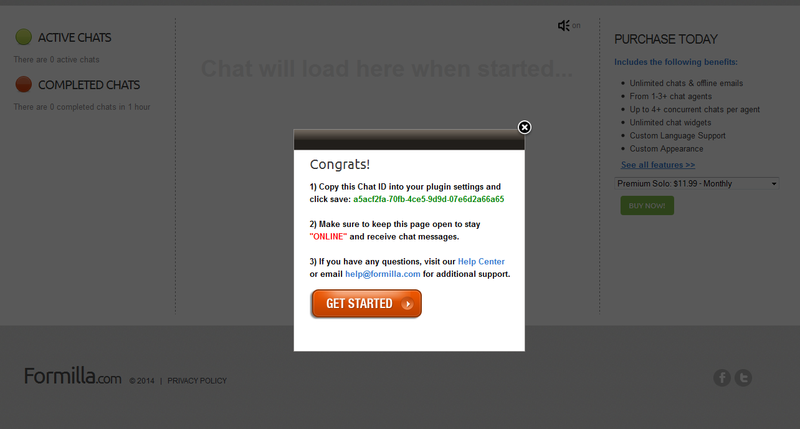 Congrats, you should see the live chat button on your Magento website and can initiate a chat with yourself as your first test! 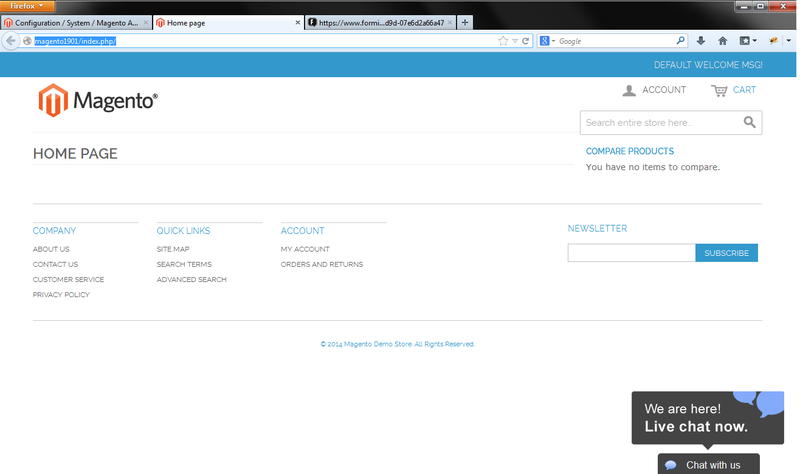 If you’re having any trouble, check out the help center or simply reach us at help@formilla.com.